I visited this property on the outskirts of Kidderminster which had Porcelain tiles laid throughout the downstairs. 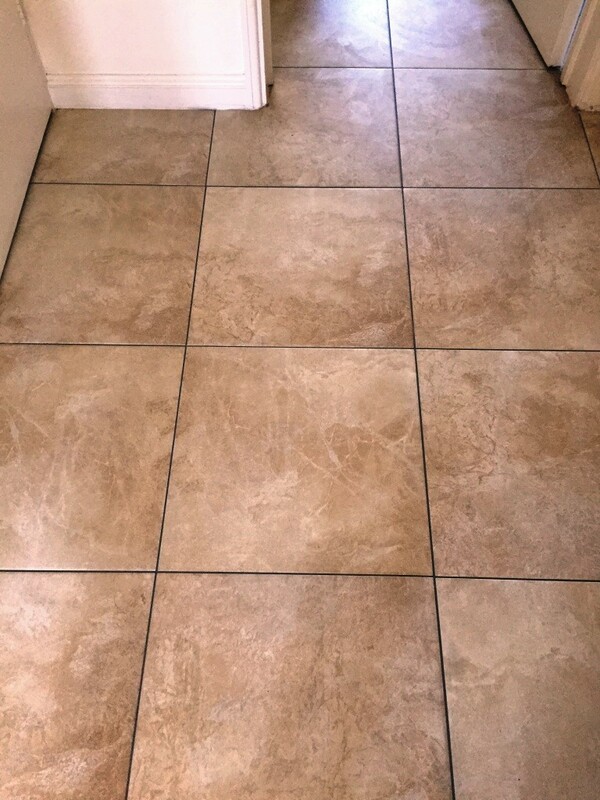 The owner was happy with the tiles but unhappy with the grout which had become stained. This is not unusual as Porcelain tiles are very resilient but the cementous top layer of grout is slightly porous and can attract dirt. As a result, the grout can become discoloured over time and if it becomes very stained no amount of cleaning will bring the grout back to its original colour. After a careful inspection we both concluded that the best way forward would be to apply a Tile Doctor Grout Colourant in a darker colour to make maintenance easier in the future and give the whole floor a much needed, face lift. My quote was accepted, and the work scheduled. The work would take four days to complete as there was 60 square metres of tiles where the grout needed to be recoloured, also some areas of grout needed replacing where the grout had perished. After re-grouting the areas where the grout had crumbled, I began to prepare the grout lines with the application of a Tile Doctor Grout Colouring Pre-Treater which is scrubbed into the grout lines and sponged away, the pre-treater cleans and etches the grout, so the colourant achieves a stronger bond. To speed dry the grout I used a heat gun, so I could get on with the application of the grout colourant. It was a large floor, so I needed five tubes of 237ml Natural Grey Grout Colourant which was applied in stages so to minimise disruption to the owner. It’s very easy to apply, the trick is to make sure you wipe off any excess that gets on the tile before it dries. The floor was then buffed with a white buffing pad to bring up the appearance. Once completed the owner was extremely happy that the floor had been given a completely new look and looked as good as the day it was installed. The colourant will also form a barrier over the grout which will prevent staining in future and make it easier to clean. The customer was very pleased and left this review. “I could not find anyone locally to carry out the work on the discoloured grout on my floor tiles – they were ruining the look of my new kitchen – so finding the Tile Doctor was a real godsend. Mark came promptly and was very reassuring – the work was done quickly and efficiently, and the finished result was amazing – I love my tiles again! Mark was pleasant and helpful – nothing was too much trouble and it was a pleasure to have him working in the house – he also gave me some good advice as to how to keep the tiles looking their best. Thanks to him an experience I had dreaded turned in to a very positive one – so a big thank you to Mark and the Tile Doctor – I would recommend you to anyone who has a problem with their tiles. 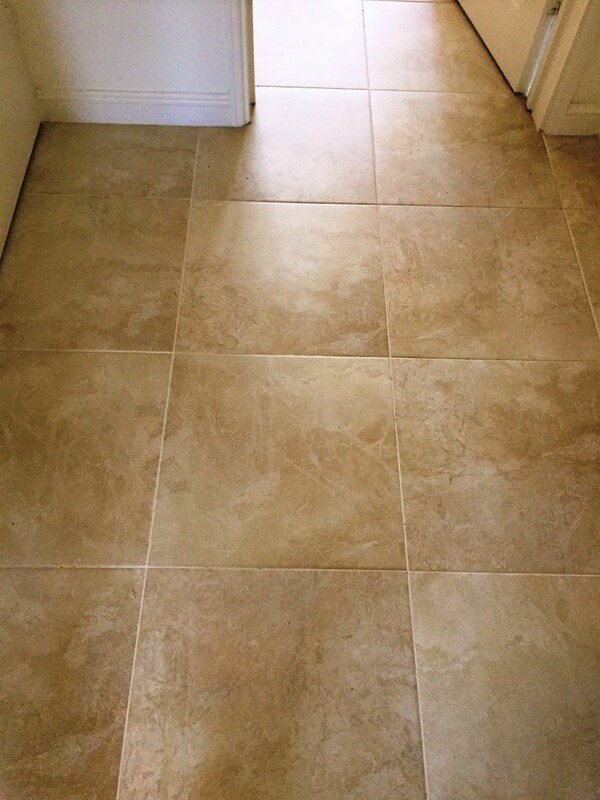 This entry was posted in Porcelain Posts and tagged Coloured Grout, Grout Colour, grout colouring, Grout Restoration, Kidderminster, Natural Grey Grout, porcelain tiles, worcestershire by AbzDominise. Bookmark the permalink.